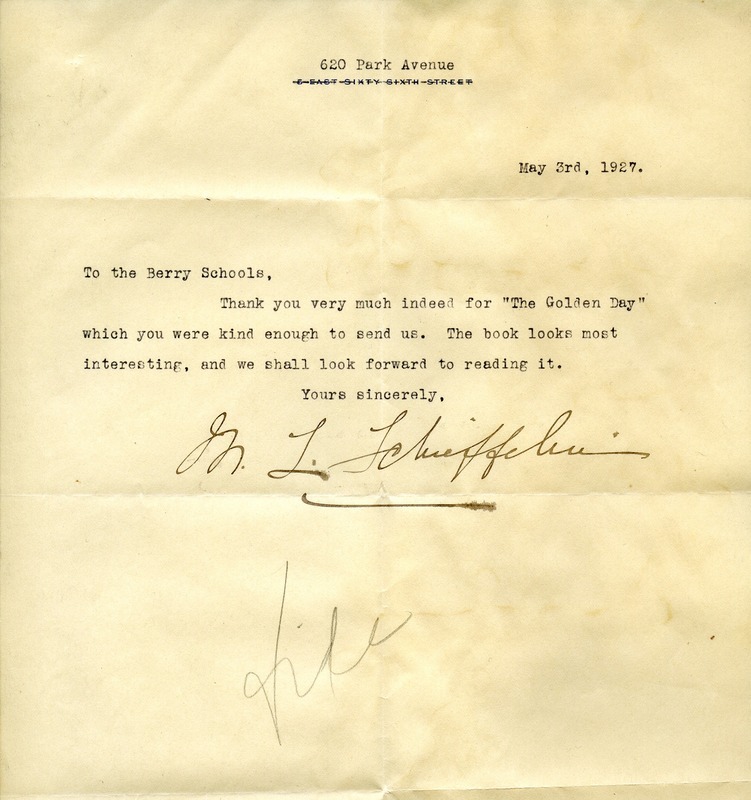 Martha Berry Digital Archive | Letter of Thanks for "The Golden Day"
The Berry Schools, “Letter of Thanks for "The Golden Day".” Martha Berry Digital Archive. Eds. Schlitz, Stephanie A., Morgan Brown, et al. Mount Berry: Berry College, 2012. accessed April 23, 2019, https://mbda.berry.edu/items/show/5524.